Harnessing artificial intelligence, augmented reality, virtual reality, and smart speakers – these emerging technologies are said to be redefining industries and have the potential to change the world on a scale that has never been seen before. So how do we even begin to venture on these technologies and use them for good? We invite you to find out how, at Datacom’s Emerging Tech for Good Breakfast Event. We are delighted to invite you to attend Datacom’s ‘Emerging Tech for Good’. An event that will see internationally and nationally renowned speakers discuss topics ranging from artificial intelligence (AI), augmented reality (AR), virtual reality (VR) and smart speakers to sustainability. James Wells, CIO, Vulcan steel, is here to talk playing it safe with the use of vision intelligence to ensure workplace safety. This is a project that was started at Datacomp in 2017. 7:30 AM – 10:00 Am. Free but spaces are limited. A hackathon with the aim of exploring the ideas and practice of making legislation into machine consumable ‘digital rules’ that can be reused and integrated across domains for the benefit of businesses, individuals and communities. The aim is to understand the feasibility of providing government hosted machine consumable legislation as part of Government as a Platform. We want to understand how well aligned existing standards, languages, and toolsets are for across domain integration, and what the options are for how machine consumable legislation can be presented as authoritative open data. We also want to understand the value of machine consumable legislation to community and industry. Please make sure to read the hackthon’s Code of Conduct. Free. Please register via Eventbrite. More information on the Better Rules Hack page including competitions. If you have any questions please contact us via email betterrules@legalhackers.nz. Exclusively for Techweek, Te Papa and Mahuki are opening the doors to explore the digital technology, past, present and future in the museum. The Mahuki team will be taking groups of 15 people through front-of-house and back-of-house in the museum looking at all things tech in Te Papa! 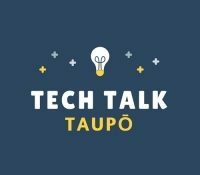 Talk tech-turkey with graduates from Te Papa’s Innovation Hub, Mahuki, and interact with their ground-breaking exhibition technology. You will be exploring the Museum through a tech lens, seeing our oldest, newest and up-and-coming digital interactives. Our Mahuki team will talk through their favourite exhibition technology and the ideas behind their conception. You will also be seeing the Innovation Hub in back-of-house Te Papa.